Deciding who is going to maintain certain aspects of a rental property can be a difficult decision for an inexperienced property owner. Landscaping and yard care, for example, could be maintained by the property owner or might be made the responsibility of the tenant. While it can seem clear cut, there are pros and cons to both arrangements. 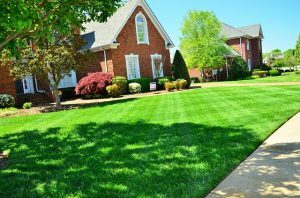 Though there is no clear-cut answer about who should be in charge of lawn care, hiring a professional property manager like Martin Feinberg, who has decades of experience to draw from, can help alleviate some of the pressure. There are some situations where yard maintenance will clearly fall under the responsibilities of the property manager. When a property has multiple units, such as an apartment building or complex, it would be unreasonable to put tenants in charge of maintain the yard. This is especially true if the outside areas are shared spaces. Also, uniform and tidy landscaping is often part of the appeal complexes, condos, and townhouses. Putting a property manager in charge of landscaping helps to preserve the uniformity and keeps the area well maintained. Single-family residents, on the other hand, can be a gray area when it comes to lawn care. In those situations it often boils down to whether or not the property manager wants to guarantee that the yard will be maintained or is all right leaving it in the hands of renters. One thing that professional property managers will often consider is whether or not the property is connected with a Home Owner’s Association (HOA). If the rental property is located in a neighborhood with an HOA, there are likely to be rules present that govern lawn maintenance. When the HOA will fine the tenants directly, it can make sense to allow the tenants to handle lawn care. 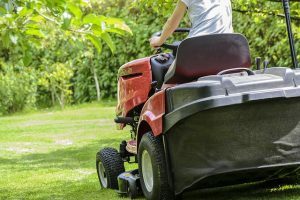 If the HOA is going to fine the property owner for poorly maintained lawns however, the property manager will likely hire a landscaping company to oversee yard maintenance. This will keep the rental property owners from unnecessary fines, but will also make sure that the yard is being maintained properly and as economically as possible. Yard care can be a difficult subject for property owners, property managers, and tenants. In the end, tenants, owners, and property managers should come agreement about lawn care before anyone is renting the property. Preferably, the agreement will be present in the lease and all parties will be aware of their own responsibilities before signing. Perspective renters should read their lease carefully for stipulations about lawn care, and ask the property manager for clarification prior to signing. Property managers should be aware of what owner’s wishes regarding lawn care and should make sure any and all leases reflect their desires.